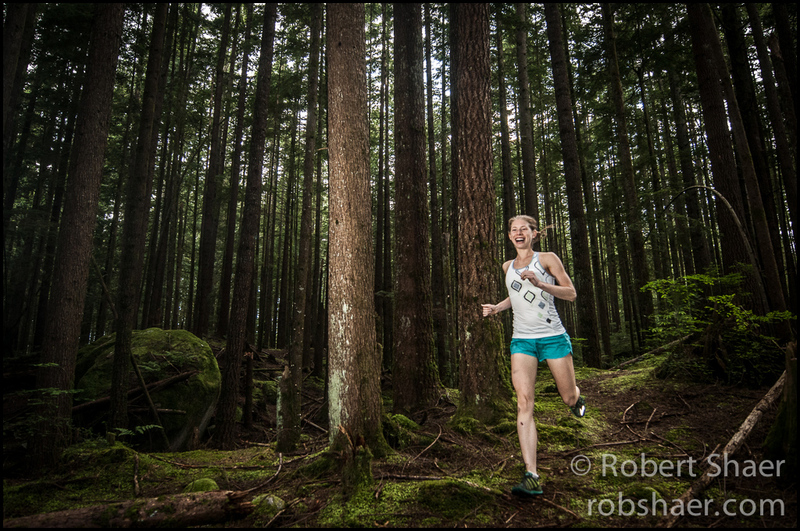 Personal Work – North Shore Trail Portraits: Run Shanny Run! I have a pretty clear memory of the morning I met trail runner Shannon Penway, it was as if her giant smile bounced up to me and said “Hi! I’m Shannon, did you get some good pictures?” Or so that’s how I remember meeting Shannon following the first 5 Peaks event of the year last May at Golden Ears Park, BC. 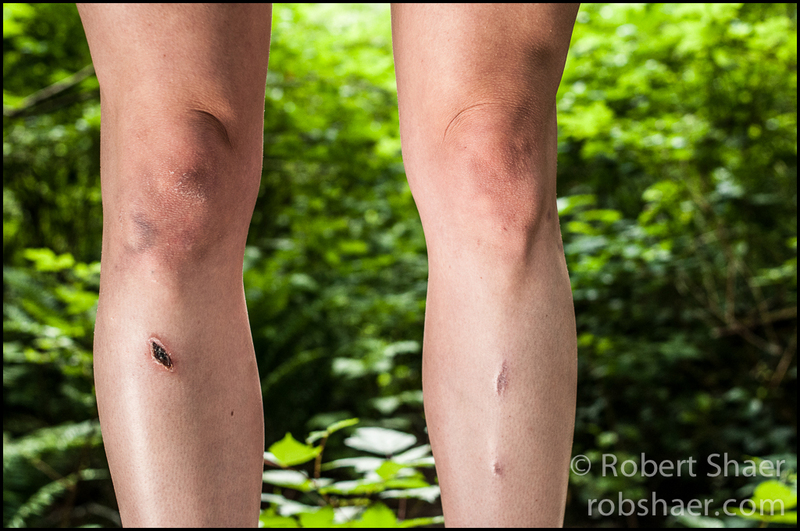 Since then I’ve photographed Shannon a few times, at 5 Peaks Alice Lake in Squamish, BC, last weekend at the Scotiabank Vancouver Half Marathon, and a few weeks ago in the Lynn Headwaters region above North Vancouver. 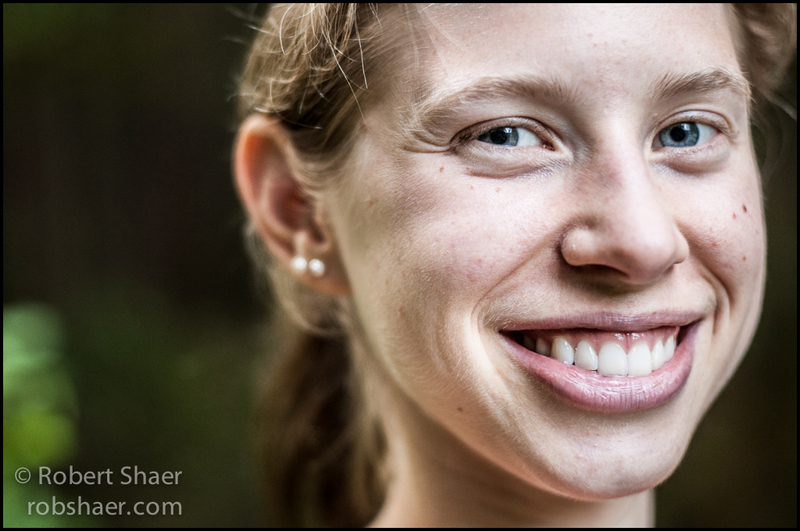 Shannon is relatively new to competitive trail running, but comes to it with the grace and athleticism of an experienced athlete. When Shannon runs, it is often with a grin stretched ear to ear and although I think that smile is a way to unsettle and intimidate her competition, Shannon says she smiles because running makes her happy. Since meeting her, Shannon has made the podium of a number of events and distances including placing 3rd in the National Mountain Running Championships recently held in Quebec where she ran despite a fall on a training run the day before. Learning a lesson as a photographer is often humbling and can sometimes be quite expensive, especially humbling when things stop working the way they are supposed to while a subject waits patiently and with good humour for instructions to re run the same 15 meters of trail for 5th time. During our shoot my camera’s display took a nap, I don’t know how else to describe it. At one point I exclaimed, ‘I guess we’ll do this the old fashioned way’ and continued shooting without the digital play back and instant gratification (or horror) that comes from having instant access to review. What happens in situations like these? Well if you’re prepared, you pull your back up camera from your bag and keep shooting. If you are not, you turn the camera off and on for a bit, take out the batteries, groan under your breath and look to the tree tops for answers. After a few unsettling minutes everything was working as it should and we continued. In the end I think we got a few good pics and these are among my favourite. You can read more about Shannon at her running blog Run Shanny Run, and if you’re a sponsor, you should reach out before someone else does first!